The day we have long awaited has finally arrived… Today O6 is officially available to the public at large. It’s been an incredible journey – from the initial inception of the device in India to our public launch today, and everything else in between. We are launching O6, the device that lets you remotely control every element of your smartphone with no visual attention. Stay connected eyes-free while driving, walking or simply at home. Our goal with O6 is to not only make driving and even walking safer, one O6 at a time, but to also aid visually impaired users. The road to O6 began in a school for the blind in India, where we saw children hindered by their lack of sight, unable to access modern mobile devices which are designed for visual interaction. We asked ourselves: Can we make a small device that allows visually impaired people to access smartphones? There has to be a better way. We have five primary senses, and yet the majority of technology innovation relies upon sight. Thus, the original idea for O6 was born. Following this visit to India, when we returned to the U.S., we observed that the problem of visual interactions is not limited to the visually impaired. If we look around, we see people’s dependence on smartphones is utterly complete -- people walking around looking down at phones, or even worse, people looking at their smartphones while driving. The National Highway Traffic Safety Administration estimates that at any given daylight moment, 542,000 drivers handle smartphones and manipulate electronic devices (NHTS.dot.gov, 2015). We can’t stop people from feeling the need to check their email and social media, but O6 does something that no other product can do – it allows them to do it without taking their eyes off the road – and as simply and easily as you flip through radio stations in your car. What morphed from an initial desire to create a device that bridges connectivity between the visually impaired and mobile devices has now expanded to the mission of creating a device that will allow for this new concept of eyes-free browsing. This device will completely change the way we interact with our devices while in motion. O6 was built from the ground up by reimagining the design and interaction of all mobile applications for a completely eyes-free experience. O6 connects seamlessly via Bluetooth to any iPhone or iPad, allowing users to browse, operate and toggle between virtually any app at the touch of a finger and completely eyes free. Use touch, voice and eventually gesture to control any app and listen and respond to messages (texts, emails) and social posts, answer/make phone calls, get navigation directions and more at your own pace and in real-time. Using O6 is as simple as listening to the radio. Consider this the most personal radio station that you have ever listened to. O6 was created to address the risks associated with distracted driving and careless commuting (yes, we coined that term), as well as the accessibility challenges of the visually impaired. 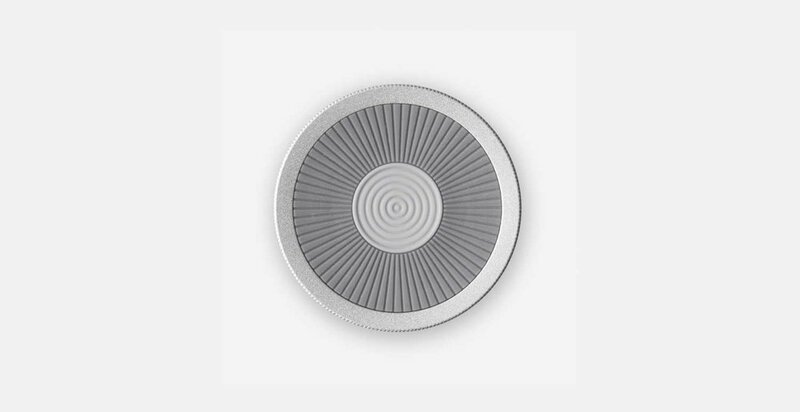 O6 represents an entirely new paradigm of device input and control, combining both hardware and software to power a far more accurate and responsive experience than voice-command based interfaces. Let’s face it. Most of us are glued to our phones. And there are times when you need to use your eyes for something else – like driving, exercising or even walking. We hope you enjoy and look forward to all of your feedback!